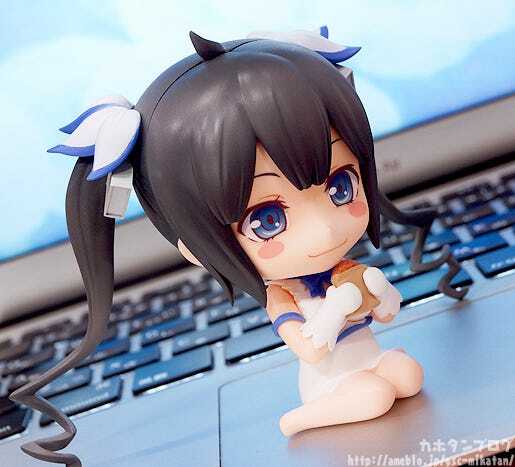 From the popular anime series ‘Is It Wrong to Try to Pick Up Girls in a Dungeon?’ comes a Nendoroid of the ‘Loli Goddess’ Hestia! 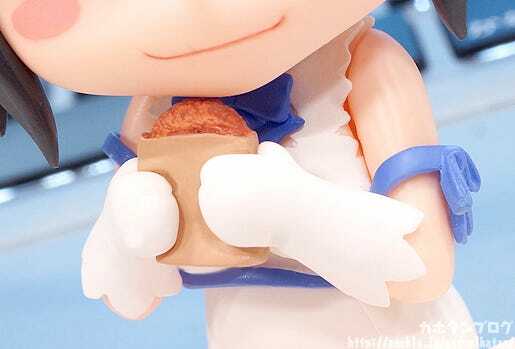 She comes with three expressions including an energetic smile, a triumphant expression brimming with confidence as well as a rather cute spoilt child expression.Additionally, the croquette from the series is also included for her to hold. 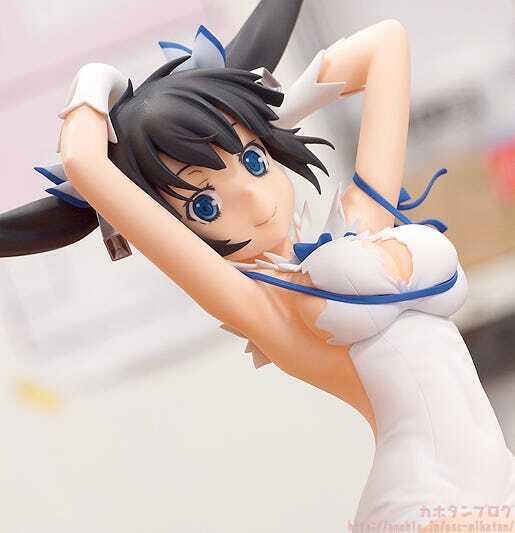 The famous ribbon around her bosom is specially designed to easily match up with all sorts of different poses! 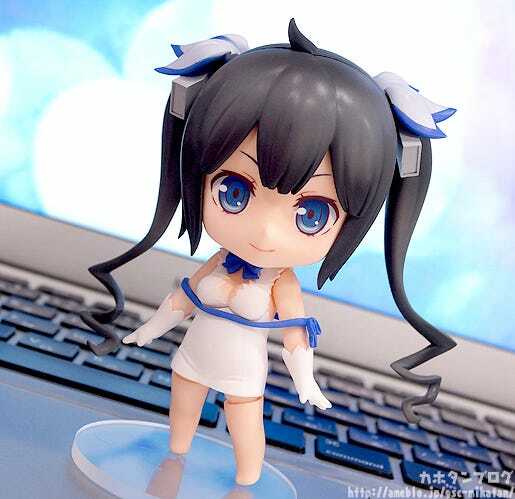 Be sure to give the goddess Hestia lots of love when she joins your collection! 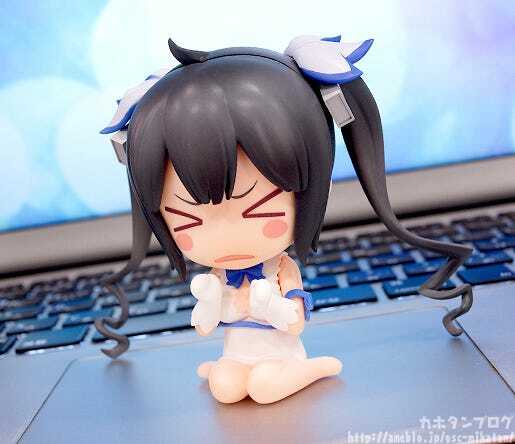 Everything about her design has been shrunk into Nendoroid size beautifully! From the ribbon around her chest, her long twintails, the white gloves and one-piece mini-skirt have all been charmingly captured! 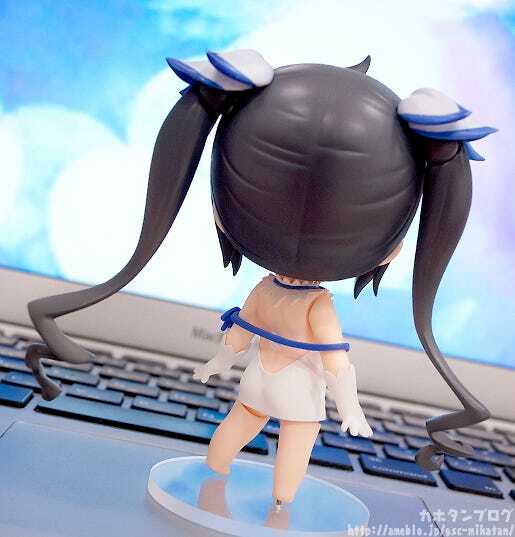 Even has a Nendoroid her bust size is very noticeable!! The white outfit also keeps the very ‘tight’ feel to it! You can see from the sculpting just how nicely it keeps to the shape of her body! △ Her opened out back even has the shoulder blades sculpted on! Round cheeks + triumphant smile = amazing! I personally really love the way her cheeks have been done on this expression! 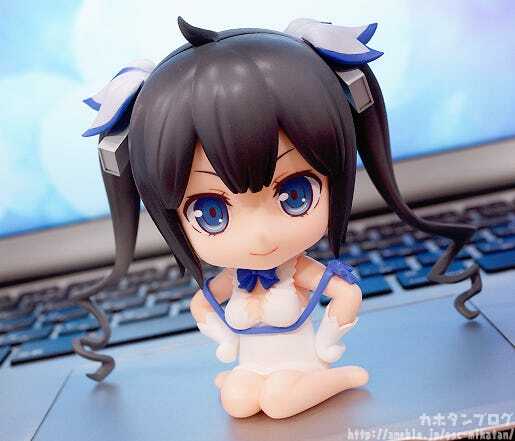 It really brings out Hestia’s personality even more! That innocent confidence is what makes her such an adorable goddess! △ Simply replace the lower body part to display her sitting down! Sitting parts are included for a quick and easy change! The sculpting of her bottom is also very nicely done… be sure to take a closer look once she joins your collection! By the way, the ribbon is included in three different patterns allowing you to better match it up to different poses! But how are we going to calm her down now? That’s easy! △ I want to eat one with her! 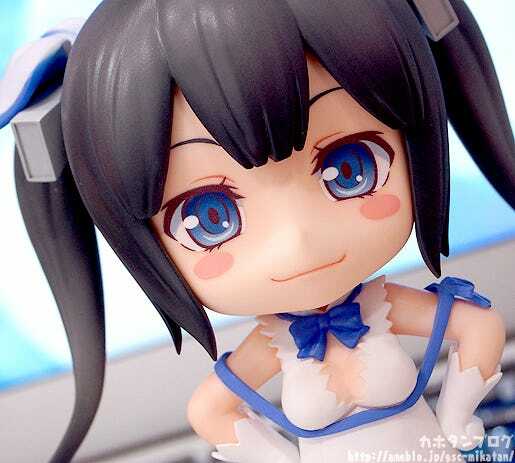 While we’re talking about Hestia, don’t forget about this item currently up for preorder from Max Factory! She can take two different poses using the included optional parts! If you’re a Danmachi fan be sure you don’t miss out!